Happy New Year! С Новым годом! Wherever you are, whenever you read this, I hope the holidays have been enjoyable and I wish you lots of good reading in 2019! Favorite book by a new author: One of my favorite reading highlights this year was Grigory Sluzhitel’s Дни Савелия (literally Savely’s Days) (previous post), which came highly recommended by Eugene Vodolazkin. Savely slinked his way into my heart thanks to his penchant for valerian, love for traipsing around Moscow, and smooth way with words. Savely’s Days would have been a favorite even in a good year but in this lackluster reading year, the book particularly stood out for its observations of people, cats, and Moscow. Most enjoyable books written by authors I’d already read: Sergei Kuznetsov’s Учитель Дымов (Teacher Dymov), which, oddly enough, I haven’t written about, is a sort of ensemble family saga novel, a book where characters, psychology, and the little things in life are the focus, (generally) leaving historical crises of the Soviet and post-Soviet eras in the background. The book is vivid and detailed as it flows from generation to generation and it kept me up late reading. I also enjoyed Yulia Yakovleva’s Укрощение красного коня (Taming the Red Horse) (previous post), an atmospheric retro detective novel that plays with genre. Speaking of translations: I was very pleasantly surprised to find that this year’s list of Russian-to-English translations topped sixty entries (previous post). There’s something for everybody – we’ll see if the 2019 list can come close to 2018’s in terms of quality and quantity! Happiest things while traveling: Despite seeming to have a reputation as a bit of a recluse (I think living in Maine and burning wood for heat gives that sort of impression automatically) I really do love going to translator conferences and book fairs. This year’s trips – to Moscow for a translator conference (previous posts 1 and 2) , Frankfurt for the book fair (previous post), and Boston for a Slavist convention (post coming soon!) – were especially enjoyable not just for my papers and presentations but for having the chance to see colleagues. Though I should really say that a good deal of this “seeing” colleagues is really the chance to “eat with” colleagues. Thanks to them, “the most important meal of the day” takes on new meaning, eating wurst and French fries in Frankfurt becomes something positively lovely especially under a warm (!) October sun, and late dinners are a perfect way to finally sit longer and, yes, eat slower (food) after rushing around all day. It’s the people I see at these events – translators, writers, publishers, literary agents, event organizers, and even a few people from my distant academic past – who make travel so enjoyable despite jetlag and packed schedules. I’m a very, very fortunate person. Best acquisitions: My newish Kobo Aura One electronic reader makes it almost pleasant to read electronically even if the device doesn’t particularly like PDFs. And A History of Russian Literature by Andrew Kahn, Mark Lipovetsky, Irina Reyfman, and Stephanie Sandler is a great (and gigundo) addition to my library that the good people of Oxford University Press were only too happy for me to take off their hands toward the end of the Slavist conference. It’s already come in handy quite a few times and even the index is fun to page through! Special thanks to the nice Marriott employee who helped me cram it into my luggage for the ride home. Final goodbyes: Sadly, 2018 brought the deaths of Vladimir Voinovich (previous post), Vladimir Sharov (previous post), and Oleg Pavlov (previous post), all of whom I’ve written about, as well as Andrei Bitov, whom I’ve read so little that I’m not even sure what to say other than something absurdly banal about recognizing his importance. (And that I need to buy a better, newer edition of his Pushkin House – the late Soviet-era edition I have is fuzzily printed on awful paper, making it painfully difficult to read.) The loss of Sharov still gives me no peace. What’s coming up on the blog: Despite my complaints about 2018’s Big Book finalists (previous post) and the high ratio of “abandons” in my reading for much of the year, things are looking up: I loaded up on books in Moscow and Frankfurt, and have been a much happier reader since my required reading period ended. I’ll also be reading mostly books written by women until mid-March, when I’ll be participating in a panel at the London Book Fair about women in literature and translation. I have quite a shelf of recent Russian books, thanks to my own purchases plus gifts from authors, publishers, and the Russian stand in Frankfurt. My stack of English-language books written by women, many of which are translations from various languages into English, is even larger. Best of all is that I haven’t abandoned a book in weeks: I’m on a roll with Alisa Ganieva, Ludmila Petrushevskaya, Yulia Yakovleva, and Olga Stolpovskaya. On the English side, I’ve been reading Lara Vapnyar and just started Anna Burns’s Milkman today (a gift from one of those wonderful meal-time colleagues I mentioned above). I’m reading Milkman on the treadmill, which fits the heroine’s habit of reading while walking, not to mention Burns’s skazzy writing, with its momentum and flow, as well as plenty of sly humor and word play. 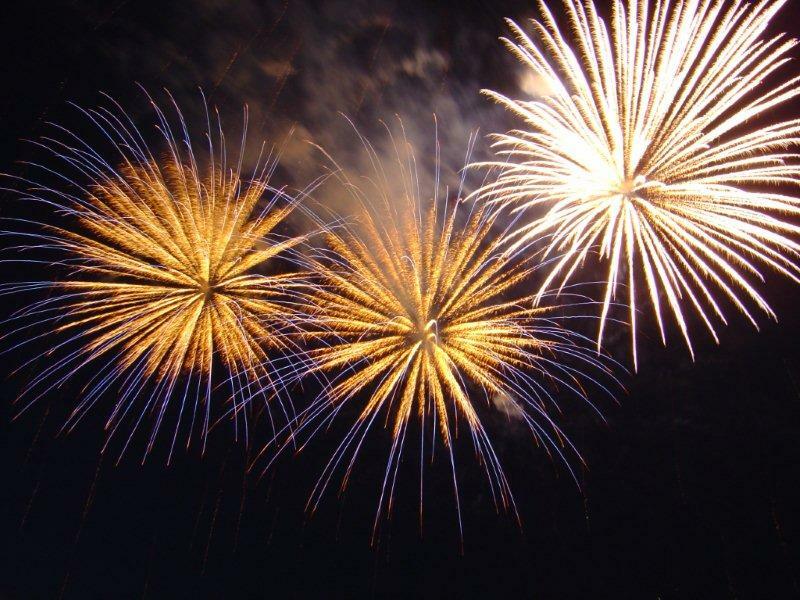 On that cheery note: Happy New Year! And happy reading! Disclaimers: The usual. As noted above, I received copies of some of the books mentioned in this post from publishers, literary agents, and other sources. Thank you to all! And thank you to everyone who helped with my travel in various ways. Also: I’m translating Sergei Kuznetsov’s Kaleidoscope. Well, I finally got a little smarter and decided not to post the year’s translation list until late December – it’s amazing how much cleaner the data are that way! I won’t be striking entries for years to come this time around. I can also say for certain that the list has hit an all-time high: 61 62 63 books. But watch for changes! I’m sure I’ve missed some books. As always. As in past years, I have to credit ongoing grant programs from the Institute of Translation and the Prokhorov Fund’s Transcript Program for helping to fund many new translations on the list. Sometimes a listing from grant reporting leads to lots more books, as happened with a title from Holy Trinity Publications that received funding from Transcript: I checked Holy Trinity’s site for that book and found several more that came out this year. Checking a title on the University of Wisconsin Press’s site also started a chain reaction; they published three translations this year. I think what’s most encouraging about this year’s list is that it’s the most varied I’ve seen since I started keeping track of new translations. 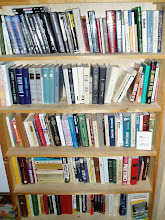 There’s a nice blend of fiction and nonfiction, with some children’s books and art books thrown in. Another positive bit of news: I’m already seeing lots of listings for 2019. Since I’m posting so late in the year, I’ll modify my caveats from years past. This list is just a start; I’m always happy to add books I’ve missed. Please e-mail me with changes/errors or additions; my address is on the sidebar. As last year, this is a global list that includes new translations and some retranslations. I’ve linked titles on the list to publishers’ pages wherever possible. I’ll place a link to this post on the sidebar of the blog for easy reference. I’m taking names and titles for 2019 now, so please start sending them in. Finally, don’t forget the Self-Published Translation post: If you have a book to add, please add it in a comment on that page, here, and I’ll approve it. All that’s left to say now is happy holidays – enjoy the list and your reading! Akunin, Boris: Black City, translated by Andrew Bromfield; W&N, November 2018. Amelin, Maxim: The Joyous Science: Selected Poems of Maxim Amelin, translated by Derek Mong and Anne O. Fisher; White Pine Press, September 2018. Arseniev, Pavel: Reported Speech, translated by Thomas Campbell, Cement Collective, Jason Cieply, Ian Dreiblatt, Ronald Meyer, Ainsley Morse, Ingrid Nordgaard, Anastasiya Osipova, and Lia Na’ama Ten Brink; Cicada Press, late 2018. I enjoyed Arseniev’s Slavist convention reading very much and am looking forward to reading more. Averky (Taushev): The Epistles and the Apocalypse, translated by Nicholas Kotar and Seraphim (Rose); Holy Trinity Press, 2018. Aylisli, Akram: Farewell, Aylis: A Non-Traditional Novel in Three Works, translated by Katherine E. Young; Academic Studies Press, 2018. Belyaev, Roman: How Does a Lighthouse Work?, translated by Maria Kulikova; b small publishing, 2018. For ages 4-12. Berggolts, Olga: Daytime Stars: A Poet's Memoir of the Revolution, the Siege of Leningrad, and the Thaw, translated by Lisa A. Kirschenbaum; University of Wisconsin Press, August 2018. Buksha, Ksenia: The Freedom Factory, translated by Anne Fisher; Phoneme Media, December 2018. This novel won the 2014 National Bestseller Award. 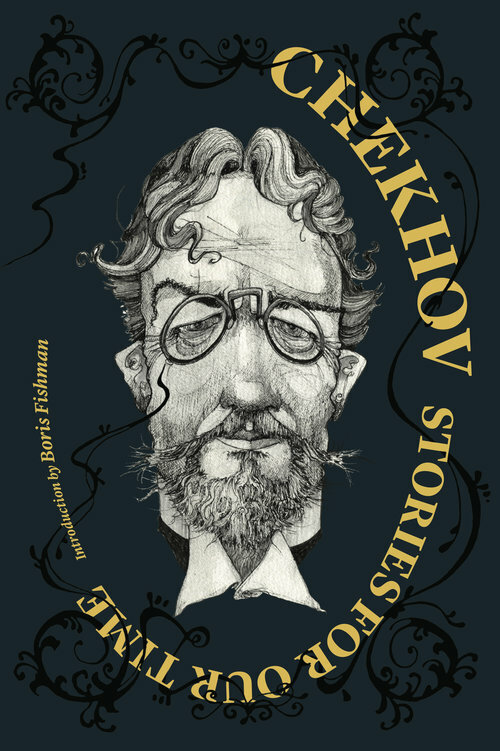 Chekhov, Anton: Chekhov: Stories for Our Time, translated by Constance Garnett, Ilan Stevens and, Alexander Gurvets, illustrated by Matt McCann, with an introduction by Boris Fishman; Restless Books, June. (previous post) I liked this edition a lot! Dorosheva, Sveta: The Land of Stone Flowers, translated by Jane Bugaeva; Chronicle Books, 2018. This is a beautiful, fun, and funny book – I very much enjoyed translating excerpts of this book but am thrilled that Jane Bugaeva translated the whole thing! Dyachenko, Sergey and Marina: Vita Nostra, translated by Julia Meitov Hersey; Harper Collins, November 2018. Eisenstein, Sergei: Beyond the Stars: 1. The Boy from Riga, translated by William Powell; Seagull Books, 2018. Eisenstein, Sergei: Beyond the Stars: 2. The True Paths of Discovery, translated by William Powell; Seagull Books, December 2018. Gazdanov, Gaito: The Beggar and Other Stories, translated by Bryan Karetnyk; Pushkin Press, April 2018. Gnedov, Vasilisk: Alphabet for the Entrants, translated by Emilia Loseva and Danny Winkler; Ugly Duckling Presse, 2018. Gnilorybov, Pavel: Moscow Grows: A Book about Moscow -- Past, Present, and Future, translated by Elizabeth Adams, Shelley Fairweather-Vega, Jesse Irwin, and Katherine E. Young, with a foreword by Mikhail Afanasyev; B.S.G.-Press, 2018. Golomstock, Igor: A Ransomed Dissident: A Life in Art Under the Soviets, translated by Sarah Jolly and Boris Dralyuk; I.B. Tauris, 2018. Gorenstein, Friedrich: Redemption, translated by Andrew Bromfield; Columbia University Press/Russian Library, 2018. Grinëv, Andrei Val’terovich: Russian Colonization of Alaska: Preconditions, Discovery, and Initial Development, 1741-1799, translated by Richard L. Bland; University of Nebraska Press, November 2018. Gumilev, Nikolai: Nikolai Gumilev’s Africa, translated by Slava I. Yastremski, Michael M. Naydan, and Maria Badanova; Glagoslav, August 2018. Ivanov, Andrei: Hanuman’s Travels, translated by Matthew Hyde; Vagabond Voices, October 2018. John of Tobolsk: The Sunflower: Conforming the Will of Man to the Will of God, translated by Nicholas Kotar; Holy Trinity Publications, 2018. Kabakov, Ilya: On Art, translated by Antonina Bouis; University of Chicago Press, 2018. Kabysh, Inna: Blue Birds and Red Horses, translated by Katherine E. Young; Toad Press, 2018. Krzhizhanovsky, Sigizmund: That Third Guy: A Comedy from the Stalinist 1930s with Essays on Theater, translated by Alisa Ballard Lin; University of Wisconsin Press, August 2018. Kudryavitsky, Anatoly: The Flying Dutchman, translated by Carol Ermakova; Glagoslav Publications, 2018. Mandelstam, Osip: Journey to Armenia, translated by Sydney Monas, Clarence Brown, and Robert Hughes; Notting Hill Editions, September 2018. Mandelstam, Osip: Concert at a Railway Station. Selected Poems, translated by Alistair Noon; Shearsman Books, 2018. Mandelstam, Osip; Mayakovsky, Vladimir; Vinokur, Val: Relative Genitive, translated by Val Vinokur; Poets & Traitors Press, 2018. This edition also includes original poems by Vinokur as well as his translations of Mandelstam and Mayakovsky. The description sounds very interesting. Nikolaeva, Olesia: Ordinary Wonders: Stories of Unexpected Grace, translated by Alexandra Weber; Holy Trinity Publications, 2018. Novikova, Liudmila: An Anti-Bolshevik Alternative: The White Movement and the Civil War in the Russian North, translated by Seth Bernstein; University of Wisconsin Press, 2018. Ozerov, Lev: Portraits Without Frames, translated by Maria Bloshteyn, Robert Chandler, Boris Dralyuk, and Irina Mashinski; New York Review Books, November 2018. Rzhevskaya, Elena: Memoirs of a Military Interpreter: From the Battle for Moscow to Hitler’s Bunker, translated by Arch Tait; Greenhill Books, 2018. This sounds especially interesting. Sergiev, Ivan Ilyich: My Life in Christ: The Spiritual Journals of St John of Kronstadt, translated by E. E. Goulaeff, revised by Nicholas Kotar; Holy Trinity Publications, 2018. Shalamov, Varlam: Kolyma Stories, translated by Donald Rayfield; New York Review Books, May 2018. Sharov, Vladimir: The Rehearsals, translated by Oliver Ready; Dedalus Books, 2018. Oliver won the 2018 Read Russia Award for contemporary literature for this translation. Smoliarova, Tatiana: Three Metaphors for Life: Derzhavin’s Late Poetry, translated by Ronald Meyer and Nancy Workman, edited by Workman; Academic Studies Press, 2018. Solzhenitsyn, Aleksandr: Between Two Millstones, Book 1, Sketches of Exile, 1974-1978, translated by Peter Constantine; Notre Dame Press, October 2018. Starobinets, Anna: In the Wolf’s Lair: A Beastly Crimes Book; translated by Jane Bugaeva; Dover Publications, September 2018. Sverdlik, Anna: How Our Emotions and Bodies are Vital for Abstract Thought, translated by Shelley Fairweather-Vega; Routledge, 2018. Tarkovsky, Andrei: Time within Time: The Diaries, 1970-1986, translated by Kitty Hunter-Blair; Seagull Books, December 2018. Tolstaya, Tatyana: Aetherial Worlds, translated by Anya Migdal; Knopf, March 2018. Longlisted for the 2019 PEN Translation Prize; fingers crossed for the shortlist! Vakar, Irina: Black Square, translated by Antonina Bouis; Buchhandlung Walther König, 2018. Various: Ten Poems from Russia, edited and introduced by Boris Dralyuk, translated by Dralyuk, Peter France, and Robert Chandler; Candlestick Press and Pushkin Press, May 2018. Various: Slav Sisters: The Dedalus Book of Russian Women’s Literature, please click through for the list of writers and translators!, edited by Natasha Perova; Dedalus Ltd., January 2018. Various: Four Russian Short Stories: Gazdanov & Others, translated by Bryan Karetnyk; Penguin, February 2018. Stories by Gaito Gazdanov, Nina Berberova, Galina Kuznetsova, and Yury Felsen. Émigré stories. Various: Russians On Trump, edited by Laurence Bogoslaw, translated by what I am told is a band of scrappy, valiant, and conscientious, but anonymous translators; East View Press, 2018. Various: Mirror Sand: An Anthology of Russian Short Poems in English Translation, edited and translated by Anatoly Kudryavitsky; Glagoslav, 2018. A bilingual edition. Various: Fabergé: Treasures of Imperial Russia: Faberge Museum, St. Petersburg, translated by Antonina Bouis; Rizzoli, 2018. Various: The Tchaikovsky Papers, edited by Marina Kostalevsky, translated by Stephen Pearl, adapted from the Russian edition, compiled, and edited by Polina E. Vaidman; Yale University Press, 2018. Vodolazkin, Eugene: Solovyov and Larionov, translated by Lisa Hayden; Oneworld Publications, November 2018 in the UK; May 2019 in the US. Yakovleva, Yulia: The Raven’s Children, translated by Ruth Ahmedzai Kemp; Puffin Books, May 31, 2018. Yuzefovich, Leonid: Horsemen of the Sands, translated by Marian Schwartz; Archipelago Books, 2018. Zoshchenko, Mikhail: Sentimental Tales, translated by Boris Dralyuk; Columbia University Press/Russian Library, 2018. The Death of Bagrat Zakharych & Other Stories, by Vazha-Pshavela, translated by Rebecca Ruth Gould, available from Paper + Ink. Up next: Alisa Ganieva’s Offended Sensibilities, Ludmilla Petrushevskaya’s Kidnapped. The History of Crimes, and Yulia Yakovleva’s most recent detective novel. Plus a trip report from the ASEEES/Slavist convention, which was ridiculously fun. 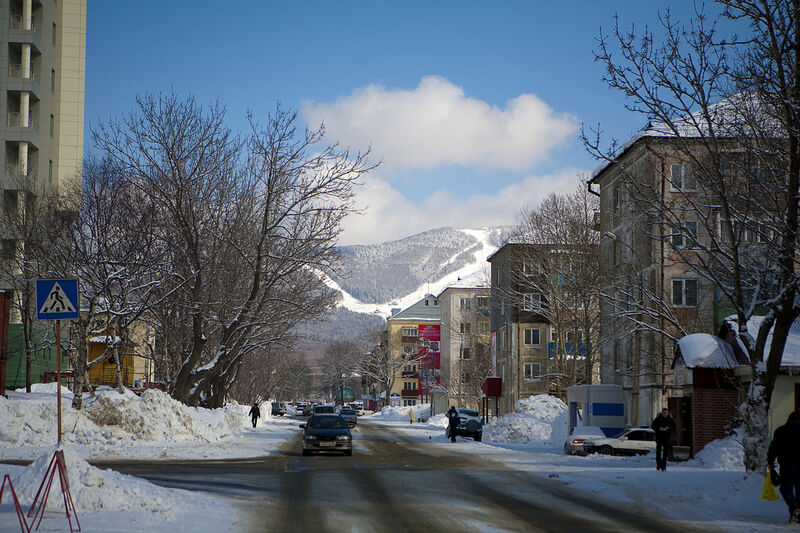 Back in mid-November, I noted that Eduard Verkin’s Остров Сахалин (Sakhalin Island) was confounding me – a month later, with the passage of time, I can’t say I see things much differently. Sakhalin Island is imaginative, action-packed (much of the time), and absorbing, though on a structural level it’s an unholy mess, with an uneasy blend of genres, tropes, motifs, characters, disasters, and just about everything else. Of course I’m more than capable of enjoying and even loving overstuffed books that I describe with terms like “diabolical” and “unholy mess,” so I’m not surprised I never considered abandoning Verkin’s Sakhalin, though the book is trying my meager patience today, as I attempt to mentally list the many plot threads running through the book. And, oops, I didn’t pull nearly hard enough on a key plot thread, the one I found least interesting. Underrating that story line resulted in my feeling a bit lost when I reached the twist-and-everything-changes ending and came up short on meaning. (The twist ending, by the way, reminded me of another island novel, Dennis Lehane’s Shutter Island, which also rankled.) I won’t reveal the twist in Sakhalin Island but I will include some minor spoilers in my descriptions of the book. During their travels together – which begin on a rather luxurious train and end in a stolen boat, with a lot of walking in between – Lilac and Artyom meet some curious figures, including an inmate Lilac remembers hearing at a poetry reading when she was younger, a crawling radical vegan who’s likened to an insect, and a little boy with albinism who has had his tongue and digits removed. Lilac and Artyom take the boy with them on their journey. Verkin also offers up disturbing race-related incidents, descriptions of crazy-making prison architecture, and accounts of what happens to corpses. Though these episodes, many of which are very odd, are important to the story, there’s often too much background information, slowing the pace in a book where seismic activity is most important because it triggers the arrival of a human-made disease known as mobile rabies, MOB, which puts victims into a zombified state that lasts implausibly long. Verkin achieves a lot with Sakhalin Island and my emotions loved it, thanks to my fascination with the Book of Revelation, the very concept of incarceration on an island, the poet (he’s a key figure, pull that thread if you read the book), the various figures chained to objects, the heavy debt to Chekhov (whose Sakhalin I haven’t read but paged through quite a bit), the MOBster zombies who shrink from the stairs our heroes conveniently manage to find, and the awfulness of a world with so much death, doom, destruction, and roasted rat meat. None of that will let me go and, good gracious, part of me wants to reread the book to decipher it. My brain, though, wishes Verkin’s editors hadn’t deserted him: despite her vividness, Lilac’s many prison visits and observations start feeling repetitious and many scenes could have been pared down, while other aspects of the book, like the Japanese poet, the “chained to…” figures, and the relationships between characters felt like they could and should have been given more attention. I realize that Lilac – a social scientist who’s ostensibly writing a trip report but may well be the ultimate unreliable narrator – probably didn’t have enough spare time or emotional energy to take much of that down (even mentally) while escaping earthquakes, riots, and a killer clean-up crew, but a little more balance from Lilac would have meant a better work of fiction for Verkin. I also admit to a bias against being presented with big twists in epilogues – I tend to see them as manipulative. 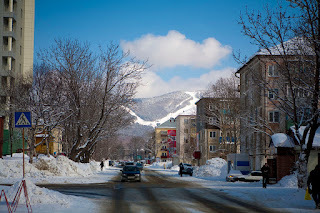 But damn that Verkin, who’s packed so much into this book that I still can’t stop thinking about it, which is, I suppose, a sign that something worked pretty well in Sakhalin Island if the manipulative epilogue trick sucked me in this time around. Up next: Alisa Ganieva’s Offended Sensibilities and Ludmilla Petrushevskaya’s Kidnapped. The History of Crimes. Plus a trip report from the ASEEES/Slavist convention, which was ridiculously fun, and a list of translations that came out this year. I’m still taking entries for the list so translators and publishers, please send me a note if you have something to report. Disclaimers: The usual. I received a copy of Sakhalin Island from Verkin’s literary agency, BGS, with whom I often converse and sometimes collaborate, and whose authors I often seem to translate. Photo credit: btibbets, via Wikipedia. This post has been incubating for months so I’ll get right to some quick notes on a few books I read in English in recent and not-so-recent months. I’ll be honest: I requested a copy of Chekhov: Stories for Our Time from Restless Books because of the art, drawings by Matt McCann. Considering the book’s subtitle, I was also interested in Boris Fishman’s introduction, which does, indeed, address what I think of as the stereotypical Chekhov, plus the earthy Chekhov, with a bit of analysis of Chekhov’s writings (which Fishman confesses he didn’t always particularly love), as well as the relevance of Chekhov’s work in our current troubled times. Fishman wonders what Chekhov might have written about people living under certain political leaders. Ouch, ouch, and ouch. Which is how I felt when I read the first clump of stories – “Stories of Love,” which included “The Darling,” “Anna on the Neck,” “About Love,” and “The Kiss,” plus “The House With the Mezzanine,” from the “Slow Fiction” section – and felt an old funny sadness and sad funniness all over again. Chekhov often makes me feel like I’m being pricked by a pin, like I’m deflating, but I somehow enjoyed that odd sensation when reading these translations by Constance Garnett, which felt just as decent for the purpose now as they did when I read them in college. (I also learned from this book that Garnett considered her mode of dress “unambitious;” perhaps this is an area where she and I truly are peers.) The book also contains a mouth-watering version of “The Siren,” specially translated for this volume by Restless Publisher Ilan Stevens and Alexander Gurvets: Stevens apparently doesn’t know Russian so Gurvets served as his “informant” and the resulting descriptions of hungry people and food, particularly lots of fish, including sterlet, carp in sour cream… In any case, this volume would make a lovely holiday gift, one I’d especially recommend for readers new to Chekhov, for the stories as well as McCann’s evocative illustrations and Fishman’s gentle, humorous guidance. 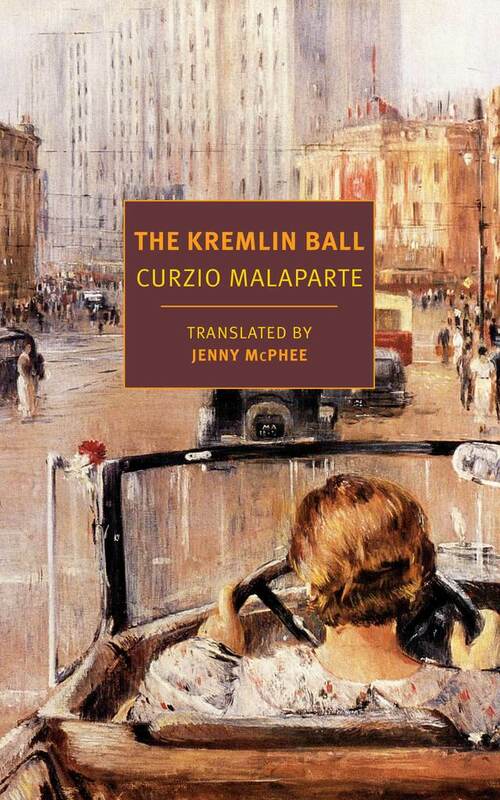 I probably would have bought Curzio Malaparte’s The Kremlin Ball, translated by Jenny McPhee for New York Review Books, for a picture, too, if I hadn’t already known I wanted to read the book: I’ve always loved the painting on the cover, Yuri Pimenov’s New Moscow. Although The Kremlin Ball was never finished (something McPhee mentions in the first sentence of her foreword) I have to wonder if Malaparte’s account of Moscow in the late 1920s feels particularly honest and scathing – even voyeuristic in his gossipy accounts of famous personages, many from the “Marxist aristocracy” – because he never smoothed it. I’m not a big nonfiction reader but The Kremlin Ball (a title that tosses me back to Bulgakov’s account of “Satan’s Ball” in Master and Margarita every time I read or type it) sure kept me interested. How could I not want to read a book where Chapter 4 begins with “One Sunday morning I went to the flea market on Smolensky Boulevard with Bulgakov”? Or where there’s an account of requesting Lunacharsky’s permission (granted) to visit the apartment where Mayakovsky had committed suicide? McPhee’s translation read very nicely (I didn’t feel the anxiety about Russian material that I sometimes sense when I read translations about Russia that weren’t made from the Russian) and the book’s ten pages of endnotes contain some helpful background information. Finally, there’s Janet Fitch’s The Revolution of Marina M., which I finished late last winter but which still feels unusually vivid. This eight-hundred-page story of young Marina Makarova’s experiences during and after the October Revolution follows Marina through a storm of personal and public events, beginning with her comfortable upbringing and first love, and moving on to her second love and the collapse of both her country – she supports the revolution – and her relationship with her family. Fitch subjects Marina to ordeals that often correlate in some way to what’s happening around her – there’s violence that made me feel physical pain, for example, and she’s often in near-seclusion – but she also finds love and poetry. (Fitch’s acknowledgements note that translator Boris Dralyuk created “original translations for much of the Russian poetry that appears in this book.”) There’s lots more, including a snowy journey that felt cold, cold, cold and a semi-finale involving mysticism. I write “semi-finale” because I’m waiting for the sequel, which will apparently be out in July 2019. Coming of age novels are pretty common but Fitch does a beautiful job pushing the genre’s boundaries – I meant what I said about feeling physical pain while reading – by serving up elements of high and low, poetry and the basest of behavior, vermin and astronomy, in a way that remind me of Marina Stepnova’s The Women of Lazarus, which critic Viktor Toporov so memorably called «высокое чтиво» (which I translated as “high-class pulp” when I blogged about the Stepnova book here). “High-class pulp” is probably one of my favorite categories (if that’s possible to say) of fiction because I so enjoy reading about the contrasting elements of the earthy (which often includes disturbing scenes) and the cerebral that these books so often seem to present. I should also note that The Revolution of Marina M. is very much a St. Petersburg/Petrograd novel so I particularly appreciated it after spending a short week in Petersburg last November. I’ve gone a bit light on details because I don’t want to spoil the book for anyone who’d like to read it. For more: The Los Angeles Times ran a nice piece by Fitch last November that offers detail on the book and her travel to St. Petersburg for research. Horsemen of the Sands, by Leonid Yuzefovich, translated by Marian Schwartz, contains two novellas, Песчаные всадники (Horsemen of the Sands) and Гроза (The Storm), which I described in brief in an old post. I read a large chunk of Horsemen last year before Marian and I participated in a roundtable discussion during Russian Literature Week and am looking forward to reading the whole thing in print, in a lovely edition from Archipelago Books. The Land of the Stone Flowers: A Fairy Guide to the Mythical Human Being (Книга, найденная в кувшинке), by Sveta Dorosheva, translated by Jane Bugaeva, is exactly what the title says it is and chapters like “What is a Human?” and “About Human Objects and Residences” are illustrated by Dorosheva’s stylish and humorous drawings, many of which are in full color. Jane told me that Dorosheva even changed a few illustrations to fit the English translation: the book’s text (from which I translated excerpts some years ago) contains lots of idioms that can’t be rendered literally. This one’s a lot of fun and I am very happy that Jane had a chance to translate it. From Chronicle Books. Blue Birds and Red Horses, by Inna Kabysh, translated by Katherine E. Young, is a chapbook containing five poems. I’ve heard Katherine read many of her beautiful Kabysh translations at conferences and am glad some of them have made their way into this chapbook from Toad Press. Disclaimers and disclosures: The usual. I received two review copies: the Chekhov book from Restless Books and the Yuzefovich book from Archipelago Press. Jane sent me a copy of The Land of the Stone Flowers and Katherine sent me a copy of Blue Birds and Red Horses. I bought the Fitch and Malaparte books at a local bookstore. Thanks to Restless and Archipelago for the review copies as well as, respectively, bonus books that look great: David Albahari’s Checkpoint, translated by Ellen Elias-Bursać and Willem Frederik Hermans’s An Untouched House, translated by David Colmer. I’m wondering if the universe is telling me to resurrect my Other Bookshelf blog. I do think about that. It may happen. Up next: Russian reading roundup, Big Book Award results and roundup, and Eduard Verkin’s Sakhalin Island, which confounds me in some ways because Verkin piles on plot line after plot line but yet the story is so absorbing and Verkin’s post-apocalyptic future is so imaginative that I can’t help but keep reading.